Do you remember the 2011 movie with Chuck Bass Ed Westwick playing another billionaire boy that’s set in a ski resort called Chalet Girl? Long story short, the romantic comedy won my heart mainly because I’m mad for Gossip Girl but also because of the beautiful scenery and lifestyle of a real chalet. Glenelg hot (cold) spot The Moseley have introduced a Winter Chalet in their upstairs bar and dining area just in time for the chilly weather. 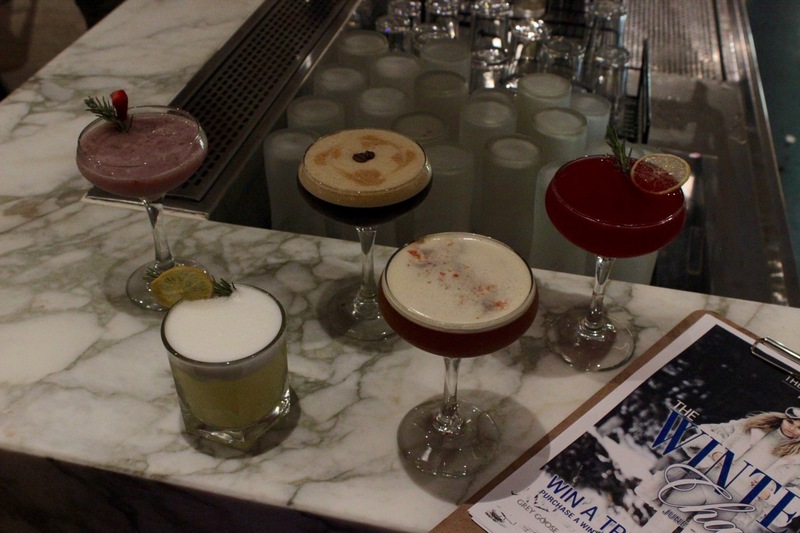 With a new winter cocktail list sure to delight, The Moseley also have an exciting prize up for grabs. Simply purchase a cocktail marked with a snow flake or a Sapporo to go in the draw to win a trip to your favourite snow destination. During the intimate cocktail tasting, we were first served the 1836, a combination of Captain Morgan dark rum, honey syrup and lime juice. Next came the fruity At Dawn, which in my opinion should never be consumed at that time (every other hour is acceptable though). With fresh strawberries, Sailor Jerry, Bacardi, De Kuyper strawberry liquor, sugar, lime juice and Monin blueberry syrup and accessorised with lemon and rosemary, the sweet, tingly drink was the front runner. With each sip you smell the gorgeous rosemary sprig which brings to mind winter roasts and warmth. Then came The Professor which was the most fun and exciting academic I have ever come across. It won’t teach you much but has Drambule, 666 butter vodka, lime juice, pineapple juice, sugar syrup, an egg white and a sprig of rosemary. 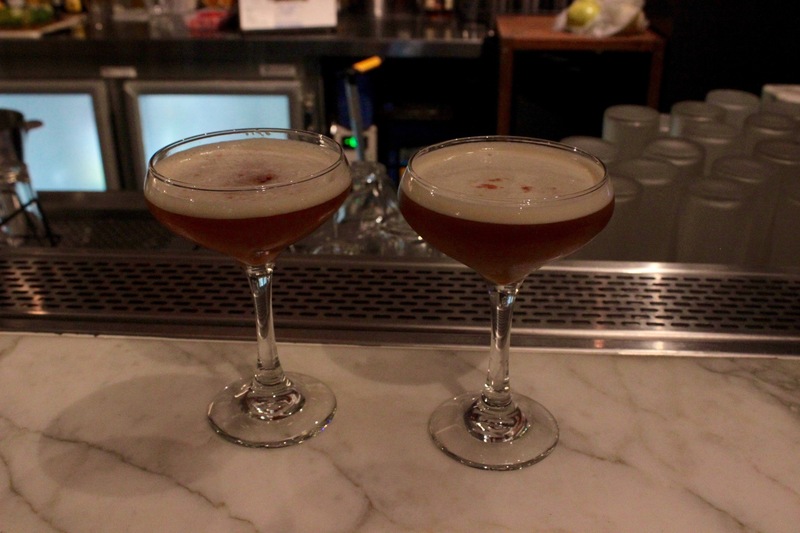 Left to right: Miss Molly, The Professor, The Stimulant – Espresso Martini, 1836 and At Dawn. The Stimulant – Espresso Martini was delicious and strong but I blame it for keeping me up late. With Grey Goose vodka, kahlua, fresh espresso and sugar syrup it was the perfect compliment to the decadent and rich chocolate brownies we were served. 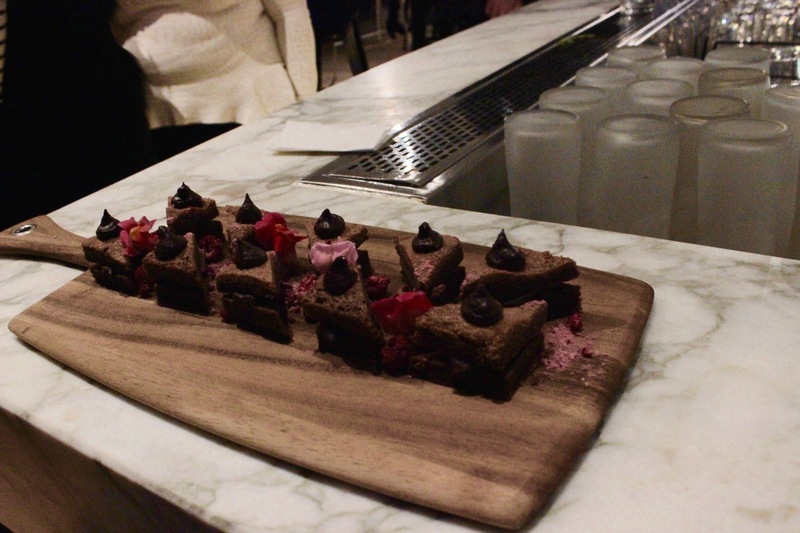 Brownies and espresso martinis – what a combination! In addition to the cocktails we sampled tasty bites from the menu inducing an asparagus frittata and pork belly with an apple cider reduction and potato hommus. Take a trip to the Winter Chalet from now until the end of August before the weather gets warmer and the snow starts to melt. Yes there was snow there too under the ski lift which served the purpose as a media wall complete with blankets to snuggle up with. No snowball fights allowed though, this is a grown up establishment. 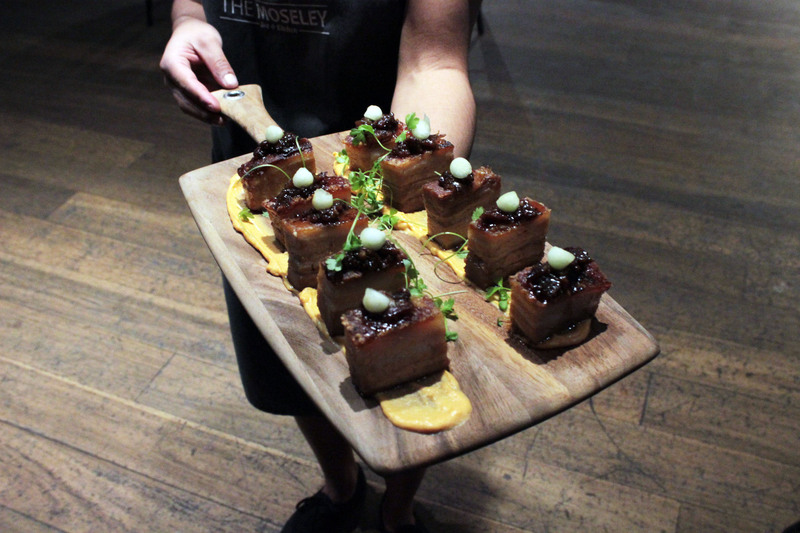 To view The Moseley’s full menu click here.